They are printed on card stock and the envelopes are included. 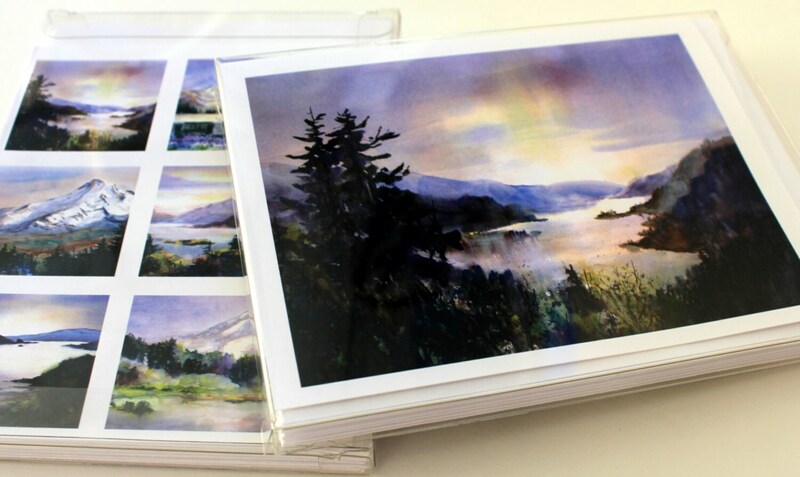 These cards come packaged with a clear plastic cover. They also make great gifts for birthdays, Mother's Day, or Valentines Day. 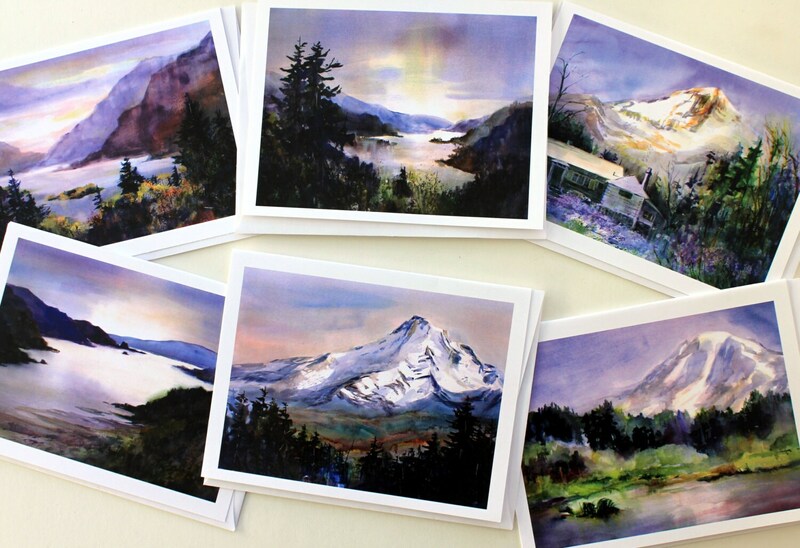 This pack includes contains scenes of the Columbia River Gorge, Mt Hood and Mt Adams.